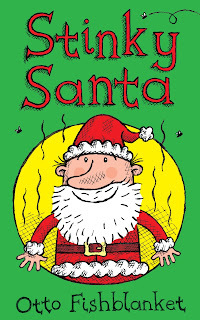 FREE STINKY CHRISTMAS EBOOK FOR KIDS FROM OTTO FISHBLANKET! "lame . . . dud . . . mean . . . boring . . . poor effort . . . not very amusing . . . smelly"
Just a few of the things reviewers are saying about this book! We can do better than that! More one star reviews, please! FREE very poor quality ebook for kids from Otto Fishblanket. It's rubbish, but it's free! And you are free to write a stinky review. The stinkier the better! Get it now!